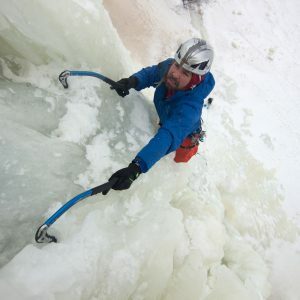 Ari Novak is an ice climber and mountaineer based out of Bozeman Montana and has put up notable first ascents in Hyalite canyon and Alaska. In addition to ice climbing Ari enjoys ski mountaineering and all things winter. His passion for adventure has led him to climb and explore across Africa, the Middle East, Europe and Central America and recently in India. In his other life, Ari is a movie producer and is known for his work on Live Free or Die Hard, Cowboys vs Dinosaurs, and Shockwave.